It’s important to find the perfect venue for that special day. After all, you want your wedding in Somerset to be memorable, a magical occasion that stays in everyone’s minds for years to come. You’ve dreamed of this day for a long time and you want the most memorable venue imaginable. Sparkford Hall is that place. Imagine a breathtaking winter wedding in a Somerset mansion nestled in 23 gorgeous acres of land. 50 of your best friends and favourite relatives have joined you for this remarkable day. Your own party planner has organised everything for you, and you’ll be enjoying dinner catered by your own personal chefs and staff. You’ll feel like the queen and king of the castle when you tie the knot in this beautiful historic mansion. Party into the night with your private cellar nightclub and rest easy knowing your guests’ accommodation is sorted. 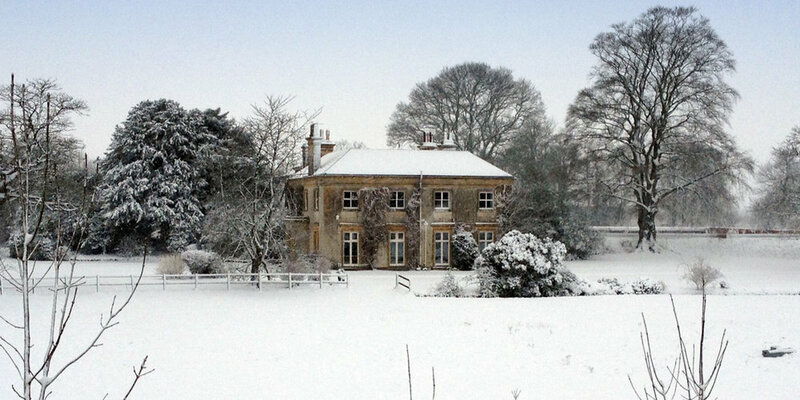 Enjoy this winter warmer of a venue for gorgeous winter weddings in Somerset. Unique weddings are our speciality, and we believe there isn’t a more magical place to say ‘I do’. As the prime wedding venue in Somerset, Sparkford Hall can accommodate up to 250 guests inside the house and the grounds. The grounds will transform into a mystical fantasy land sure to charm everyone who sets foot here. The enchanting aura of our venue will be remembered for a long time to come. Feel history come alive as you walk through the grounds. The house is also available for private events. The private dining room seats 70 and its decorations can be tailored to your individual needs. If you need more space, marquees can be set up on the lush and beautiful grounds for larger crowds. There are five unique communal rooms inside the house that can be booked for parties. We cater to every type of occasion, including corporate retreats and birthday parties. Let us know what kind of event you’d like to hold and we’ll do our best to make sure your day is perfect. We have extensive experience with event planning and will make sure your special day goes off without a hitch. We are the most beautiful location for winter weddings in Somerset and have several special offers for the bride and groom to be. Winter is a special time in Somerset, and we also offer winter weekends for visitors to relax and enjoy. If your style is more quirky and fun, our wedding venue for hire in Somerset has everything in place for that too! Just explain what you are looking for to our on-site party planner and you’ll be sure to have a wonderfully offbeat experience for your wedding or party. Our wedding venue in Somerset also offers the option of mid-week weddings, which means that you can have all the opulence and grandeur of a wedding here but at half the cost. It’s possible to have the theme wedding of your dreams at our venue; just speak to our party planner and we can get you started on that journey. The house is also available for themed parties and events. Our stunning historic will take your breath away. Each room is large and individually designed, spacious and filled with light. The house sleeps 26 and offers beautiful views over the gardens. Every room has different special touches and warm duvets with luxurious linens. Further accommodation is available on the grounds in the form of yurts, bell tents and tepees. Our catering services are second to none. You’ll have your own personal chef and staff to prepare a delicious meal for your special occasion. From flaky, delectable patisserie to a full-on hog roast, we’ve got you covered. Our talented chefs are capable of presenting a meal in style, and our organic vegetable garden means you’ll have nothing but the freshest produce. Our caterers will prepare everything from your wedding feast to midnight snacks to your wedding breakfast for all your guests. The sky’s the limit when it comes to the catering available at the mansion. You can even create your own bar with local Somerset ciders and beer. Creativity is our watchword and we want your special event to be as perfect and memorable as possible. We will be with you every step of the way when you are planning your event. We offer several wedding packages that you can peruse to see which one fits the best, and if you don’t see anything you like, we can tailor a bespoke wedding just for you. Somerset is also an excellent choice because of all the things you can do in the area. You can visit Cheddar Gorge or the Wookey Hole Caves, walk the South Coast Path or enjoy the breathtaking sights of Exmoor. Glastonbury is nearby, and the house offers accommodation during the festival. Get lost in a hedge maze or enjoy the beautiful coastline. You can also view several cathedrals, castles and museums in the region. If bars and clubs are more to your liking, you can always drive to nearby Bath to really let your hair down. Sparkford Hall is a wedding venue for hire in Somerset offering unique and quirky weddings as well as cosy winter weekends and bespoke events tailored to your exact specifications. We also host yoga retreats and other events. We can help you choose the best options for your wedding or event to make sure you’ll have memories that last a lifetime.